Although UFC 122 is just around the corner, most MMA fans are looking forward to the following weekend’s show featuring a light heavyweight scrap between former Octagon kings Lyoto Machida and Quinton “Rampage” Jackson. While there’s plenty of hoopla already surrounding UFC 123, Machida decided to release some exclusive workout footage to help further tantalize your taste buds. Both former title holders are looking to bounce back from disappointing losses. Rampage posted an uneventful unanimous decision defeat to his bitter rival Rashad Evans at UFC 114, while “The Dragon” never got the chance to fire off anything against reigning champion Mauricio “Shogun” Rua in their rematch at UFC 113. Machida’s sole professional blemish came via 1stRound knockout. 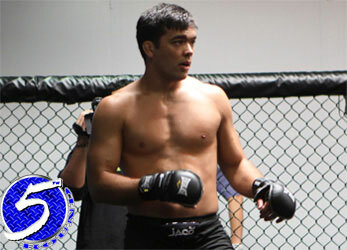 According to the Gambling Gods, Machida is nearly a 3-to-1 favorite to collect his 17th victory. The pay-per-view broadcast takes place November 20th inside The Palace of Auburn Hills in Detroit, Michigan.